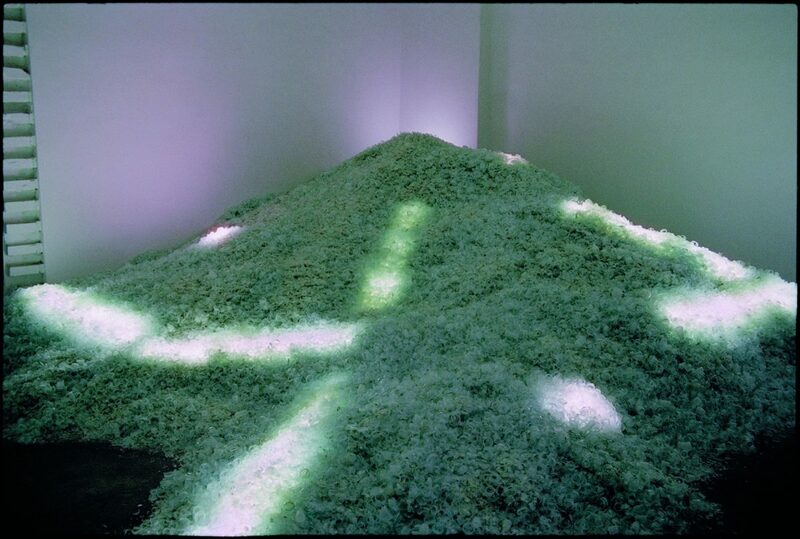 A pile of 15 tons of recycled glass from the production of light bulbs laid in a gallery in Berlin. 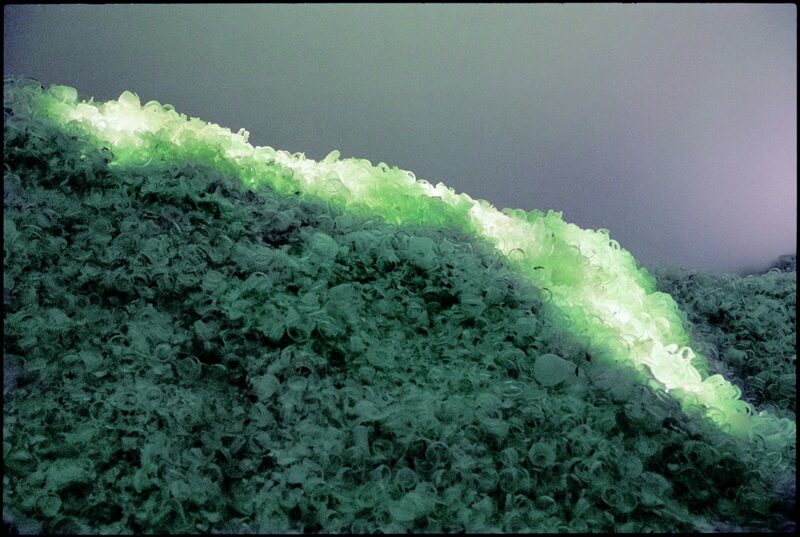 Florescent tubes, regular light bulbs and loudspeakers were digged into the glass. Sounds of breaking glass and singing wine glasses were to be heard.